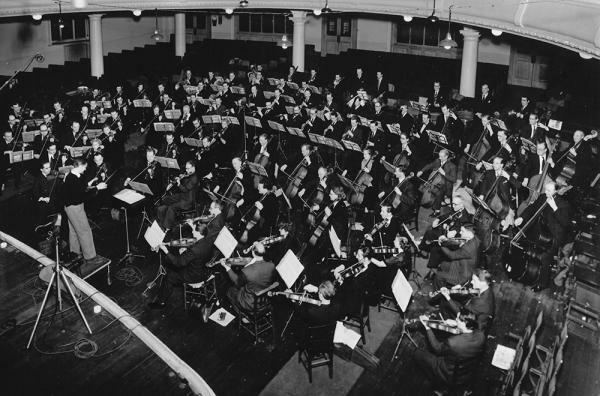 1952, May – The Philharmonia’s first European tour, organised by Walter Legge. It covers five countries with concerts in Paris, Berne, Turin, Geneva, Basel, Zürich, Milan, Vienna, Linz, Munich, Hamburg and Berlin. 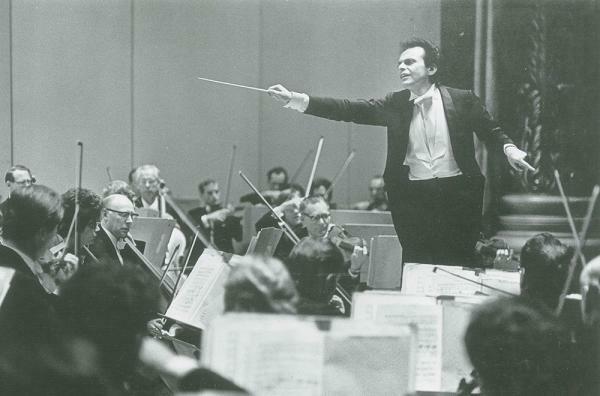 Karajan conducts throughout. 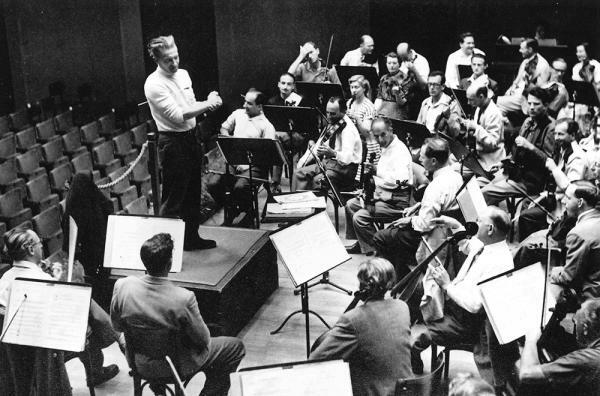 1955, October – With a growing reputation as the leading orchestra in Europe, the Philharmonia undertakes 24 highly successful concerts across the USA in four weeks, led by Karajan, whose popularity continues to grow. The concert is such a success, it is rumoured that the New York Philharmonic holds an inquest after the Philharmonia visit and sacks some of its players. 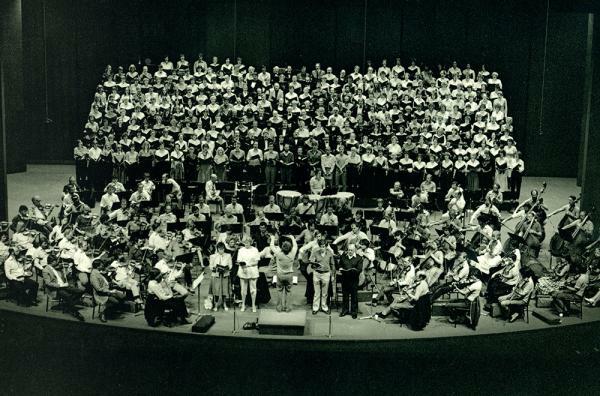 1963, August – the first Latin American tour by any British orchestra. 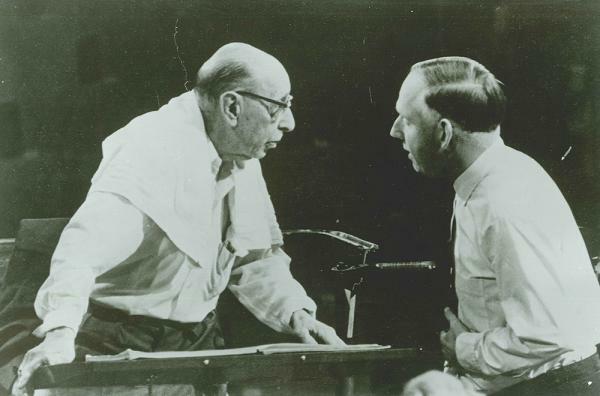 The climax of the tour is a concert of Stravinsky’s music in Rio de Janeiro, conducted by the 81-year-old composer himself. Craft conducts Fireworks and Symphony in Three Movements, before Stravinsky conducts the Suite Le baiser de la fée himself. 1970, July – The Philharmonia’s first visit to Japan, invited to represent British orchestral music at Expo ’70 in Osaka. The Principal Conductor is to be Barbirolli, but he dies a week before the tour begins, leaving John Pritchard to take the reigns on an intense tour schedule – with a stop back to Glyndebourne halfway through. 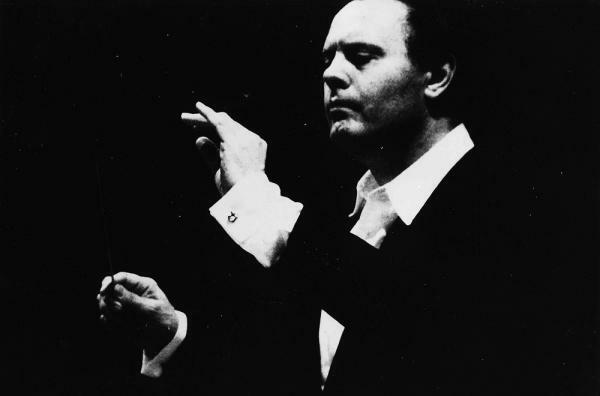 1971, October – Appointed that year as the New Philharmonia’s Assistant Principal Conductor, Lorin Maazel embarks on his first USA tour with the Orchestra. They are the first London orchestra to play at Washington’s recently opened Kennedy Center for the Performing Arts. 1978, April – A contender for one of the Philharmonia’s worst ever tours, although this has nothing to do with their conductor, Riccardo Muti. 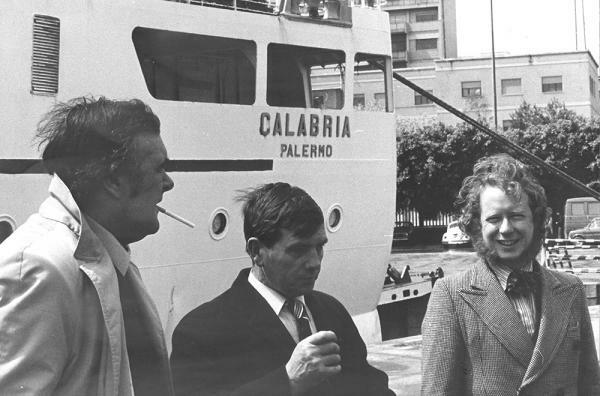 Marooned at Heathrow by strikes, shut out of hotels in Venice, engine trouble and lost luggage in Naples, topped off with the worst ferry crossing in living memory, combining Force 9 gales with a sea quake! 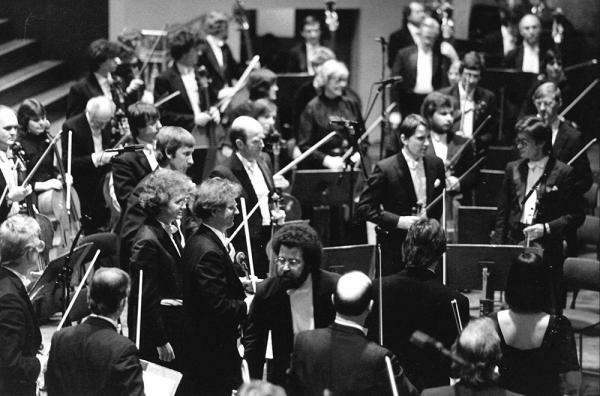 1984, February – The players vote this one of the most enjoyable tours ever undertaken by the Philharmonia, with Vladimir Ashkenazy conducting through a mammoth global tour of 23 concerts in 29 days. Players admire the Maestro’s work ethic, spending what limited free time he could find to practise at the piano. 1990 – At the invitation of the Tokyo Metropolitan Government, the Orchestra takes on the enormous challenge of playing all the Symphonies and Songs Cycles of Mahler during the UK 90 cultural celebrations in Tokyo, with Principal Conductor Giuseppe Sinopoli conducting. 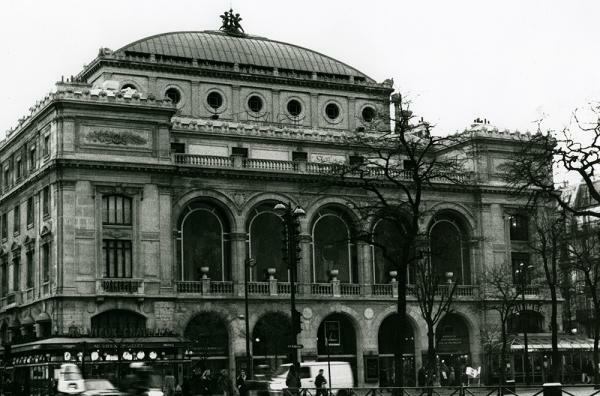 1993, February – The Philharmonia is delighted to become resident at the Théâtre du Châtelet in Paris, with an agreement to appear twice a year, during which they will perform an opera with an international cast and repeat concerts from their RFH series. The new resident’s debut performance is La Traviata, conducted by Antonio Pappano. 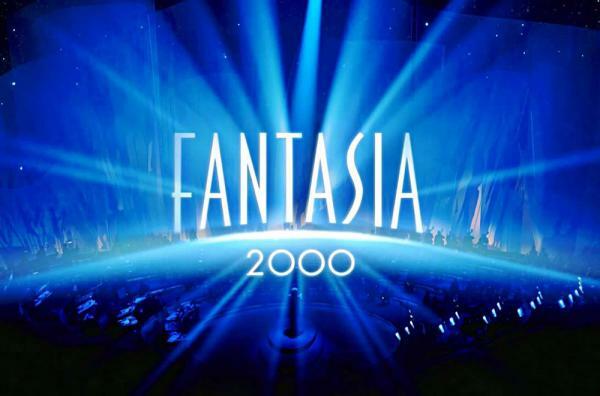 Earlier in the year, James Levine had conducted the Philharmonia on the soundtrack to Disney’s 38th feature film, Fantasia 2000. The orchestra celebrates the new millennium with a global tour on a chartered plane to promote the film, playing concerts in Tokyo, Paris, and then New York, as they follow the sun. 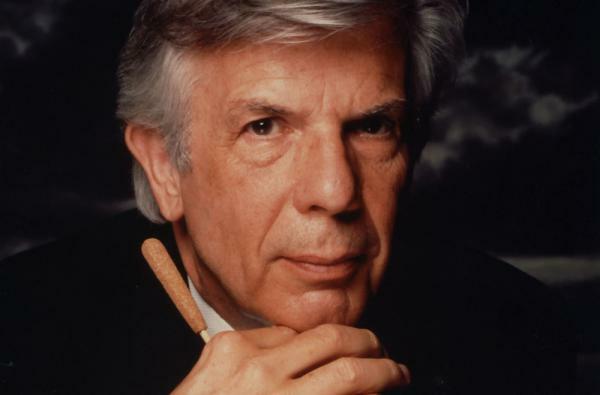 2003, October – Appointed Principal Conductor in 1997, Christoph von Dohnányi embarks on a memorable tour of the USA, travelling with the Orchestra to New York, Washington and Philadelphia. 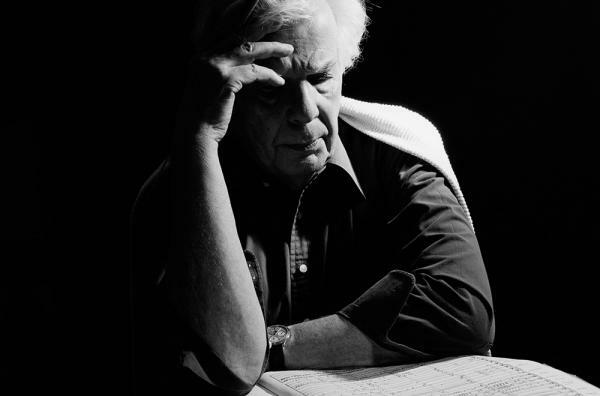 2008, May – After 10 successful years as the Philharmonia’s Principal Conductor, Christoph von Dohnányi completes another triumphant US Tour travelling to Miami, San Francisco, and then finally Walt Disney Hall in LA. This is a fitting destination to announce Esa-Pekka Salonen as the Philharmonia’s new Principal Conductor, as Dohnányi is appointed Honorary Conductor for Life. 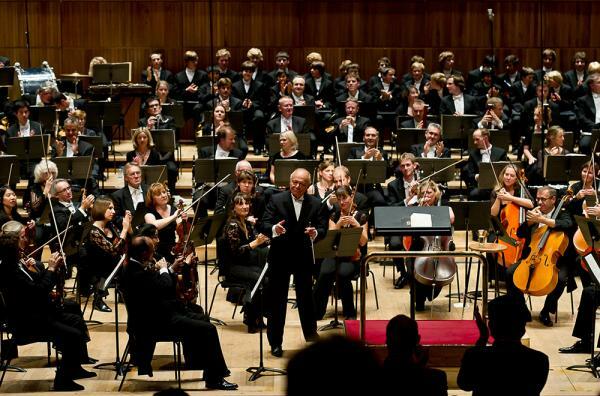 2011, May – One of the Philharmonia’s greatest conductors, Lorin Maazel, tackles the complete Mahler Cycle with a series of concerts in the RFH, across the UK – including Hull’s City Hall – as well as mainland Europe, managing a total of 27 performances across 16 European cities.